Professor William Muhumuza is a researcher for ESID working on the politics of regional inequality in sub-Saharan Africa research project, focusing on Uganda. He teaches in the Department of Political Science and Public Administration at Makerere University, Uganda, where he also served as Deputy Dean for the faculty of social sciences from 2006 to 2010. Born in Uganda, William did a BA degree in Social Sciences, majoring in Political Science, at Makerere University, then an MA in Local Government and Politics of Development at the University of Western Ontario, Canada. His PhD research at the University of Witwatersrand, South Africa, focused on credit and the reduction of poverty in the context of structural adjustment programmes. In his spare time, he enjoys going out, chatting and relaxing with family and friends. When he can afford the time for a longer break, he heads to the countryside, where he farms. He loves the fresh air and hassle-free way of life on the farm. What do you find most interesting about your work with ESID? ESID’s focus on topical development issues in the South – such as trying to understand why public sector reforms do not cause the necessary change, or explaining regional disparities in developing countries using a political settlement perspective. ESID’s use of a comparative perspective is also enriching. And the way that ESID networks researchers from the North and South is good for the purposes of mentorship. What is the next frontier of development research in your field? My next frontier of development research is in the area of accountability, which I consider to be crucial in a developing country like Uganda. Lack of accountability in government is the main challenge to the development prospects of poor states. Substantial resources that are generated locally and through aid do not improve the living conditions of the people, because of poor accountability mechanisms, high levels of corruption and patronage-driven politics. My main interest is how to find out why citizens in poor states are apathetic when it comes to issues of government accountability, despite the fact that service delivery is greatly lacking. What are some key challenges for inclusive development in Uganda? The key challenges for inclusive development in Uganda can be attributed to inadequate resources, politics and elite corruption. Resources are insufficient, because the country is poor. There is also poor prioritisation and allocation of the meagre resources because of political considerations. Elite corruption is another big challenge, since resources meant for the poor never reach them. What idea or principle do you think should be included in the post-2015 agenda? I think the post-2015 agenda should include strategies to empower youth with skills. The youth pose a big development challenge in developing countries such as Uganda. Young people constitute a large proportion of the population, yet the majority are unskilled and unemployed, and public policies have been slow at addressing their plight. If the youth factor can be properly harnessed, it could be a key force in the development process of poor states. However, neglecting young people could become a destabilising factor in poor states. How can ESID’s research be made relevant for practitioners? ESID’s research can be made relevant for practitioners if it focuses on topics that are of particular policy interest to them. Researchers may need to use a consultative approach to get feedback from practitioners when they are at the stage of developing research ideas. Sharing research findings with practitioners and developing policy briefs can also make ESID’s research relevant. 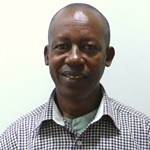 View William Muhumuza’s researcher profile.